What does fauvism mean and what is conceptual art all about? Speaking art seems like a discipline in itself and if you are new to the art world, you probably have a tons of questions. Artland’s online glossary is designed to explain the common art terminology. 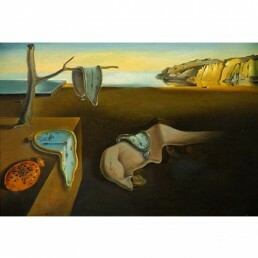 Here, we provide you with the top terms of art movement and styles. Stay tuned for more to come! 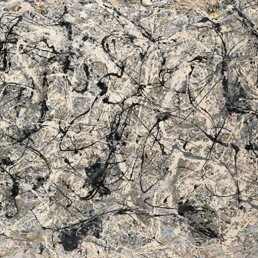 The designation Abstract Expressionism encompasses a wide variety of postwar American painting, usually characterized by large abstract painted canvases. 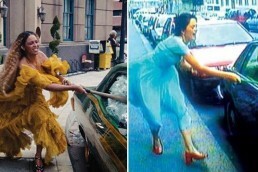 Also known as The New York School, the movement includes sculpture and other media as well. The term Action painting is associated with Abstract Expressionism, describing a direct and highly dynamic kind of art that involves the spontaneous application of vigorous, sweeping brushstrokes and the effects of dripping and spilling paint onto the canvas. A decorative style that flourished between 1890 and 1910 throughout Europe and the U.S. Art Nouveau, also called Jugendstil (Germany) and Sezessionstil (Austria), is characterized by sinuous, asymmetrical lines based on organic forms. 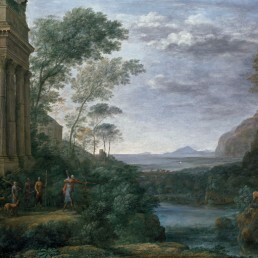 Although it influenced painting and sculpture, its chief manifestations were in architecture and the decorative and graphic arts, aiming to create a new style, free of the imitativ historicism that dominated much of 19th century art and design. 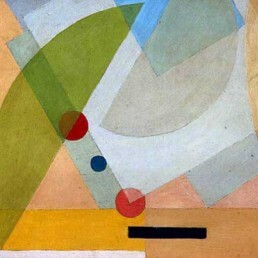 In French, avant-garde means “advanced guard” and refers to innovative or experimental concepts, works or the group or people producing them, particularly in the realms of culture, politics, and the arts. 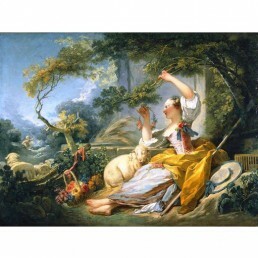 The term Baroque, derived from the Portugese ‘barocco’ meaning ‘irregular pearl or stone’, is a style in art and architecture developed in Europe from the early seventeenth to mid-eighteenth century. Baroque emphasizes dramatic, exaggerated motion and clear, easily interpreted detail to produce drama, tension, exuberance, and grandeur. 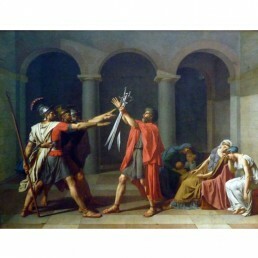 The principles embodied in the styles, theories, or philosophies of the art of ancient Greece and Rome, concentrating on traditional forms with a focus on elegance and symmetry. 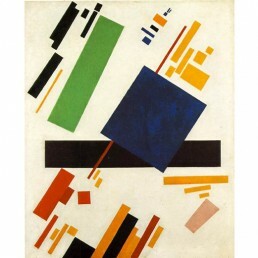 Developed by the Russian avant-garde around 1915, constructivism is a branch of abstract art, rejecting the idea of “art for art’s sake” in favor of art as a practice directed towards social purposes. 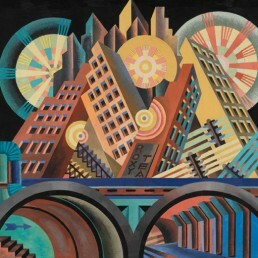 The movement’s work was mostly geometric and accurately composed, sometimes through mathematics and measuring tools. 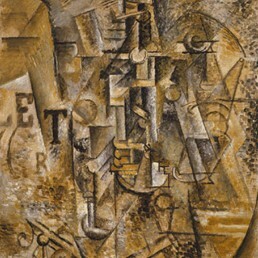 An artistic movement begun in 1907 by artists Pablo Picasso and Georges Braque who developed a visual language whose geometric planes challenged the conventions of representation in painting, by reinventing traditional subjects such as nudes, landscapes, and still lifes as increasingly fragmented compositions. An artistic and literary movement formed during the First World War as a negative response to the traditional social values and conventional artistic practices of the time. Dada artists represented a protest movement with an anti-establishment manifesto, sought to expose accepted and often repressive conventions of order and logic by shocking people into self-awareness. Want to know more? 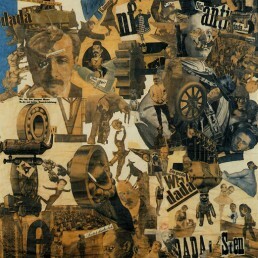 Read our full article on dadaism. An international artistic movement in art, architecture, literature, and performance that flourished between 1905 and 1920, especially in Germany and Austria, that sought to express the meaning of emotional experience rather than physical reality. 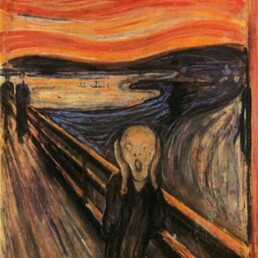 Conventions of expressionist style include distortion, exaggeration, fantasy, and vivid, jarring, violent, or dynamic application of color in order to express the artist’s inner feelings or ideas. Coined by the critic Louis Vauxcelles, Fauvism (French for “wild beasts”) is a style of painting produced by a group of artists in the early 20th century. 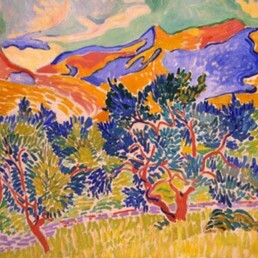 Fauvism is associated especially with Henri Matisse and André Derain, whose works are characterized by strong, vibrant color and bold brushstrokes over realistic or representational qualities. An Italian movement in art and literature, founded in 1909 by Filippo Tommaso Marinetti, aiming to capture the dynamism, speed and energy of the modern mechanical world. 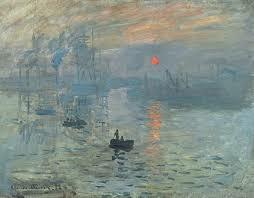 A 19th-century art movement, associated especially with French artists such as Claude Monet, Pierre Auguste Renoir, Camille Pissarro and Alfred Sisley, who attempted to accurately and objectively record visual ‘impressions’ by using small, thin, visible brushstrokes that coalesce to form a single scene and emphasize movement and the changing qualities of light. 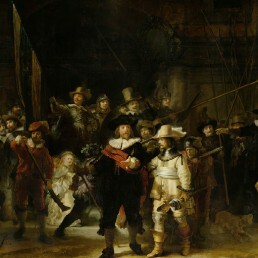 Being anti-academic in its formal aspects, the impressionists responded to traditions that had recently excluded them from the government-sponsored annual exhibitions called Salons by creating independent exhibitions outside of the established venues of the day. 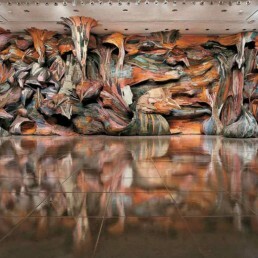 A form of art, developed in the late 1950s, which is characterized by large-scale, mixed-media constructions, often designed for a specific place or for a temporary period of time. 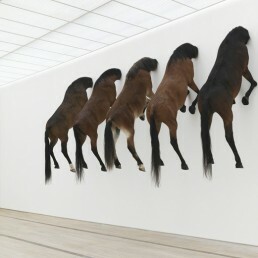 Often, installation art involves the creation of an enveloping aesthetic or sensory experience in a particular environment, often inviting active engagement or immersion by the spectator. Land art, also known as Earth art, Environmental art and Earthworks, is an art movement that emerged in the 1960s and 1970s, characterized by works made directly in the landscape, sculpting the land itself into earthworks or making structures in the landscape using natural materials such as rocks or twigs. 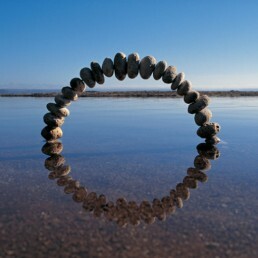 Land art is largely associated with Great Britain and the United States, but includes examples from many countries. An artistic movement developed in the 1960s and typified by works composed of simple geometric shapes devoid of representational content. 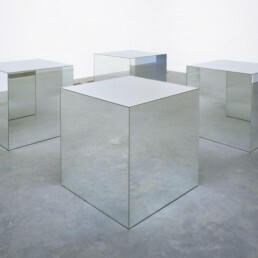 The minimal vocabulary of forms made from humble industrial materials challenged traditional notions of craftsmanship, the illusion of spatial depth in painting, and the idea that a work of art must be one of a kind. A term applied to an avant-garde art movement that flourished principally in France from 1886 to 1906. 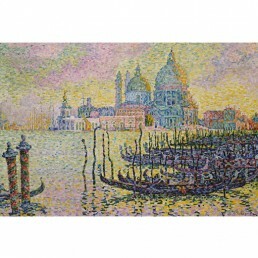 Led by the example of Georges Seurat and Paul Signac, the Neo-Impressionists renounced the spontaneity of Impressionism in favor of a measured and systematic painting technique grounded in science and the study of optics. A style that arose in the second half of the eighteenth century in Europe, drawing inspiration from the classical art and culture of Ancient Greece and Ancient Rome. 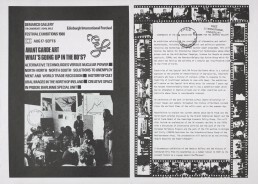 A term that emerged in the 1960s to describe artworks that are created through actions performed by the artist or other participants, which may be live or recorded, spontaneous or scripted. Performance challenges the conventions of traditional forms of visual art such as painting and sculpture by embracing a variety of styles such as happenings, body art, actions, and events. 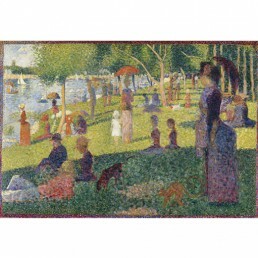 A technique of painting developed by French painters Georges-Pierre Seurat and Paul Signac characterized by works made of countless tiny dots of pure color applied in patterns to form an image. A movement that emerged in the 1950s, composed of British and American artists, who draw inspiration from ‘popular’ imagery and products from popular and commercial culture, opposed to ‘elitist’ fine art. 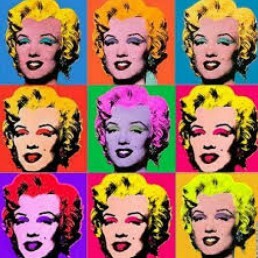 Pop art reached its peak of activity in the 1960s, emphasizing the banal or kitschy elements of everyday life in such forms as mechanically reproduced silkscreens, large-scale facsimiles, and soft sculptures. 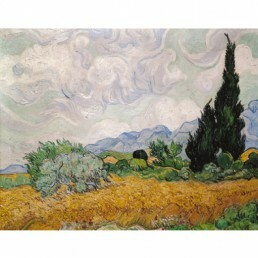 A term coined in 1910 by the English art critic and painter Roger Fry to describe the reaction against the naturalistic depiction of light and color in Impressionism. Led by Paul Cézanne, Paul Gauguin, Vincent van Gogh, and Georges Seurat, who all developed a personal, distinctive style, were unified by their interest in expressing their emotional and psychological responses to the world through bold colors and expressive, often symbolic images. 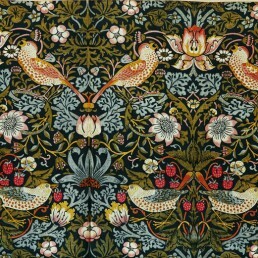 A style of art, particularly in architecture and decorative art, that originated in France in the early 1700s and is marked by elaborate ornamentation and a light, sensuous style, including scroll work, foliage, and animal forms. Founded by the poet André Breton in Paris in 1924, Surrealism was an artistic and literary movement which was active through World War II. Surrealism’s goal was to liberate thought, language, and human experience from the oppressive boundaries of rationalism by championing the irrational, the poetic and the revolutionary.